Ramon R. Joseph, M.D., of Sun City West, Arizona, died Feb. 17, 2016, at age 85. 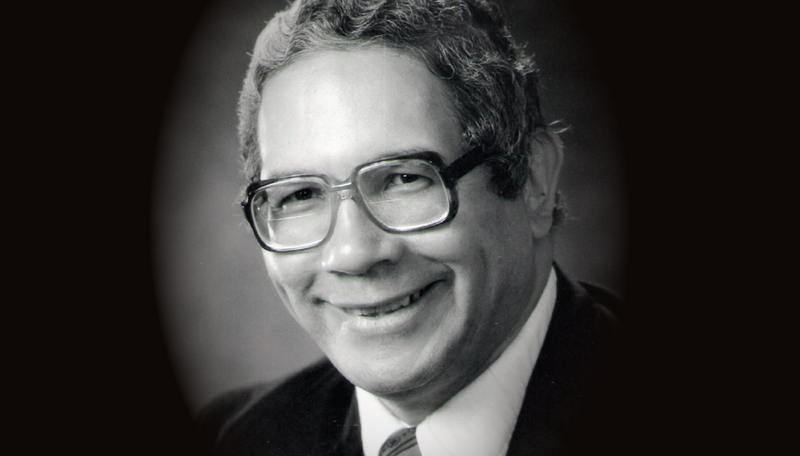 Joseph was a professor emeritus of internal medicine at U-M, and served as assistant dean and chief of medicine at Wayne County General Hospital. Joseph received a B.S. degree from Manhattan College in New York. After receiving his M.D. from Cornell University, Joseph completed his residency in internal medicine and a fellowship in gastroenterology at the Wayne County General Hospital. Soon after, he became a professor of internal medicine at the U-M Medical School. Joseph’s professional biography is in Who’s Who in the World, Who’s Who in America, Who’s Who in Medicine and Healthcare, and Who’s Who in Science and Engineering. He published numerous scientific papers, established free clinics for indigent patients, and coauthored the K-12 curriculum for education on drug abuse in Michigan. Joseph had three children with his wife of 50 years, Mary Ann: Ricardo Joseph (M.D. 1984); Maria Thompson, a graduate of the Ross School of Business; and Lisa Benson. Late in his life, he made his theatrical debut as a singer and actor in Theatre West, and was a member of HandiCapables and the Beardsley fitness facility. This is an edited version of an obituary provided by Joseph’s son, Ricardo Joseph (M.D. 1984).